Inner Brisbane apartment sales remained strong through the first quarter of 2015, reinforcing the record breaking quarter realised in December 2014, according to a new report by real estate agent, Place. Place’s March Quarter - Inner Brisbane Apartments Market Report, revealed that the weighted average price strengthened during the March 2015 quarter to $606,469, an increase of 10% on the previous quarter. It said that in the three months to March 2015, the inner Brisbane market recorded 1,225 unconditional sales. Although this is not to the same level of transactions as the record breaking December Quarter prior, this was still a 92% growth on the same quarter 12 months prior and 200% above the 10 year average. “This was a quarter which saw a state election decided via an historical swing in the political sector, creating uncertainty for elements of our market where reliance upon key infrastructure and government spending, which is now back under the magnifying glass,” Place said. The report said there were 2,455 apartments remaining for sale in Inner Brisbane at the end of the March 2015 quarter – which equates to a supply of just six months. The best performing projects in Brisbane during the quarter were Skytower (170 transactions), Southpoint Stage C (130 transactions), Unison (124 transactions), Hercules (112 transactions) and Canterbury Towers (77 transactions). “We expect unconditional sales to remain strong through the coming years as residential development drives change and apartment living evolves and escalates throughout this new cycle,” Place said. [urbanRelatedPost][/urbanRelatedPost]The report’s findings were backed by Sam Patterson, director of Brisbane-based Citi Project Marketing. “The Brisbane market is certainly thriving, in our experience we are seeing an unprecedented level of interest from buyers seeking stock above $1.5 million,” Mr Patterson said. Mr Patterson said that unlike Sydney and parts of Melbourne which some commentators have claimed are experiencing a property bubble, Brisbane remained relatively good value. “The attractiveness of Brisbane's apartment prices in comparison to Sydney and Melbourne is certainly fuelling this demand,” Mr Patterson said. Mr Patterson also believe the strong sales were here to stay for the foreseeable future. 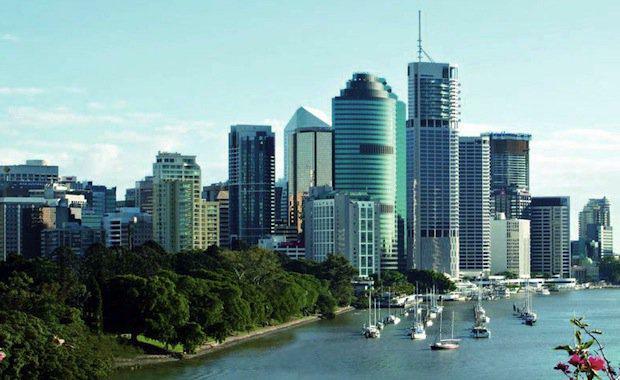 “Interest rates are at an all-time low and the city's population is set to increase dramatically over the next 5-10 years so we see these results as just the beginning of Brisbane's apartment market boom,” Mr Patterson said. The report revealed that total gross sales in dollar terms totalled over $742.9 million for the March quarter. Overall, one bedroom apartments were the majority of current supply within Brisbane equating to 48% of the apartments. Two bedroom apartments totalled only 44% of the available apartments for sale, and 3 beds represented only 5%. There were four new projects which recorded unconditional sales during the March 2015 quarter. These were the Stage C of Southpoint, Ink and Highline (West End), Hercules (Hamilton) and Unison (Newstead).